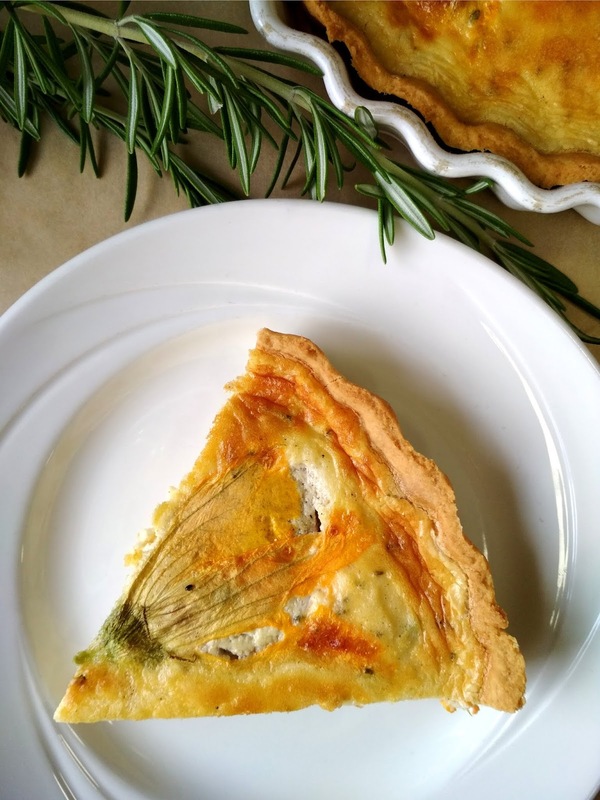 HEALTHY YORKSHIRE: Quiche with stuffed pumpkin flowers. Pumpkin flowers are edible and can often be found in Italian cuisine. I stuffed them with ricotta, rosemary with a hint of nutmeg. 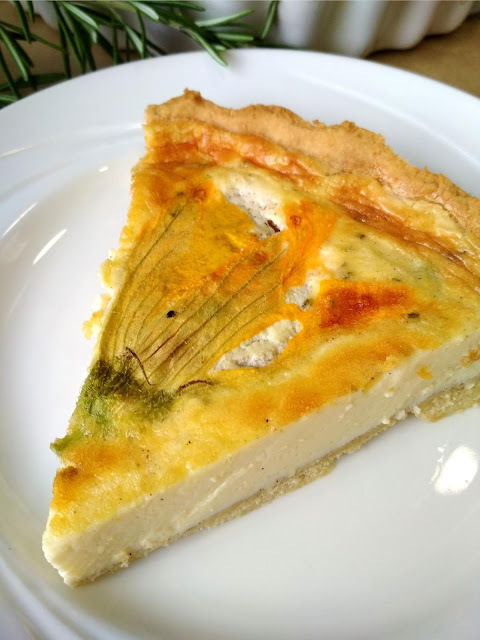 I prepared the traditional quiche but to create a healthier version you can use wholemeal flour to make wholemeal pastry. 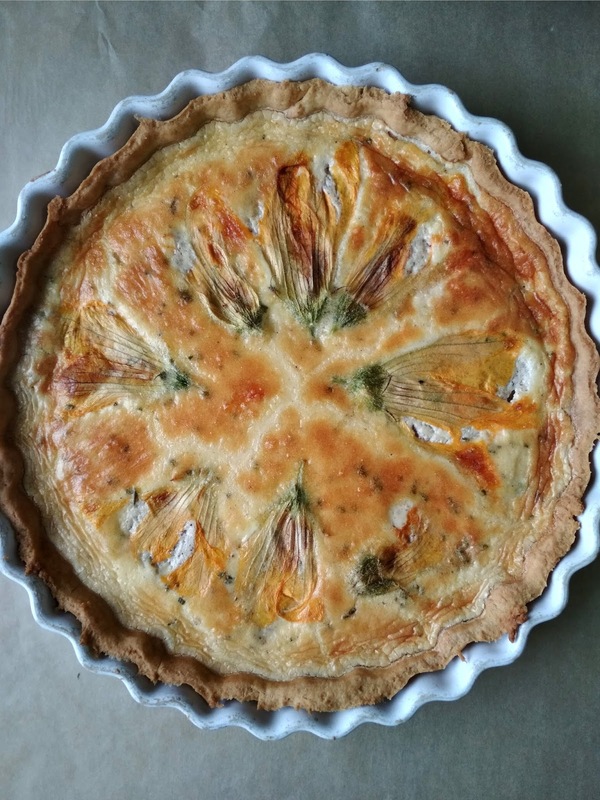 Pastry: Mix flour with butter, water and egg yolks. Roll out and put it in the baking tin (for me, quite small, 20cm). Put in the fridge for at least 2 hours. Then bake in the oven 20 minutes 180ºC. 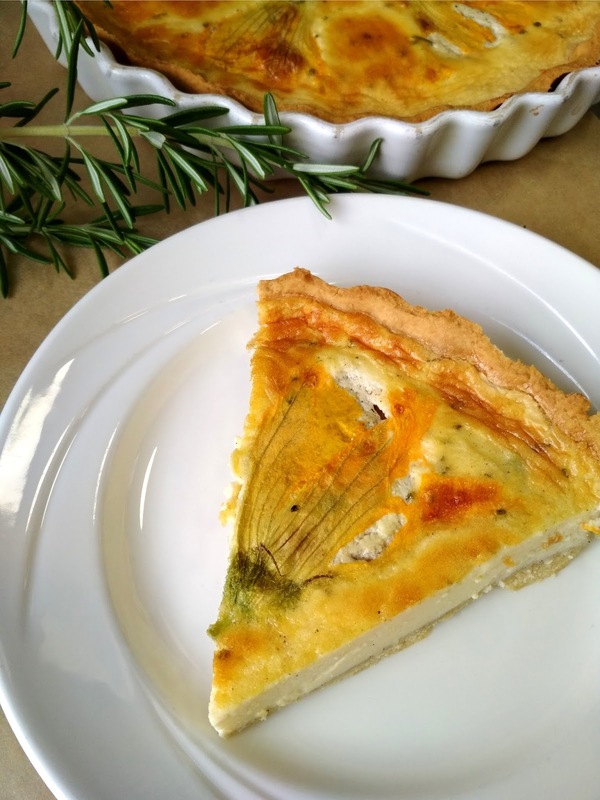 Mix Ricotta with chopped rosemary, nutmeg, salt and pepper. Stuff pumpkin flowers with prepared cheese. Arrange on baked pastry. Pour the egg mixture with milk, salt and pepper. Bake another 30 minutes.